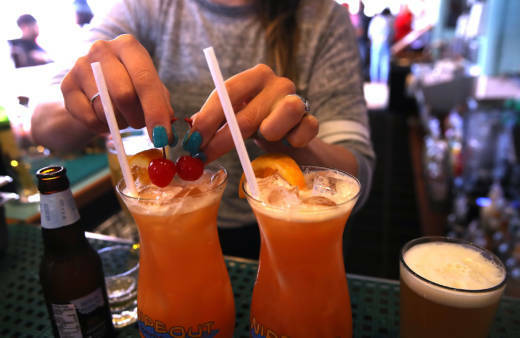 If you want a plastic straw with your drink you may soon have to ask at California restaurants. Restaurants would be warned for first and second violations and fined up to $300 per year for subsequent violations. Democratic Assemblyman Ian Calderon of Whittier described the bill as a small step toward reducing plastic use and fighting ocean pollution. The measure would affect full-service restaurants and wouldn’t apply to fast food establishments. Republican Assemblywoman Melissa Melendez of Lake Elsinore says she doesn’t believe it will reduce pollution but will punish restaurants. The restaurant industry doesn’t oppose the measure. The California Coastal Commission has recorded roughly 835,000 straws and stirrers picked up between 1988 and 2014 during beach cleanups, according to the LA Times. Plastic can take up to 500 years to decompose and leaks toxins into the soil and water. The Environmental Protection Agency estimates that Americans disposed of more than 33 million tons of plastic in 2014, most of which was not recycled.